You’ll have a great kitchen, you can also get some great stuff go with it, or just spend however you want. Black Rok are teaming up with John Lewis to offer £1,000 Gift Card on kitchen orders until the end of 2018. Will my kitchen order qualify for a £1,000 Gift Card? 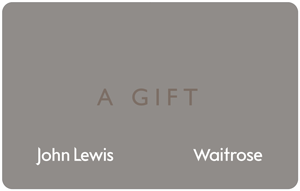 The John Lewis Gift card will be presented on final payment of the kitchen. It can be used in any John Lewis or Waitrose store or online. 24 months from date of issue. The validity can be extended by partial spend or by making a balance enquiry.